Enjoy the Waikiki lifestyle with the absolute Best Coffee in Hawaii. This café has earned international recognition for their extraordinary custom roast. The roast integrates traditional old world Italian methods and contemporary western techniques, combined with the passionate Hawaiian aloha spirit. See what's new with Hawaiian aroma caffe! Quality local grinds and Hawaiian coffee, delicately prepared. We take our roasts seriously. Only the best combination of Arabica and Robusta beans, roasted to bring out the natural sweetness & subtle nutty notes, reminiscent of traditional Italian coffee style with balanced acidity & full body. Local coffee at it's finest. Enjoy poolside tropical cocktails, alongside traditional old-world spirits. Drink in Waikiki vibes, with only the freshest, hand-picked ingredients. An eclectic cocktail menu that is inspired by aloha vibes. We offers the freshest food in Honolulu. They're carefully orchestrated under the close eye and direction of our hand picked culinary team, inspired by European finesse and fresh local ingredients. Each dish tells a story, from our kitchen to you! Our team of experienced baristas make it their daily mission to produce the highest quality espresso drinks and latte art in Waikiki, with a splash of aloha in every cup. We're proud to present the most beautiful cafes in Waikiki. Honolulu and Waikiki's best coffee. Hawaiian Aroma Caffe's high-end standards combined with premium beans and Italian coffee love leads to perfection in every cup. 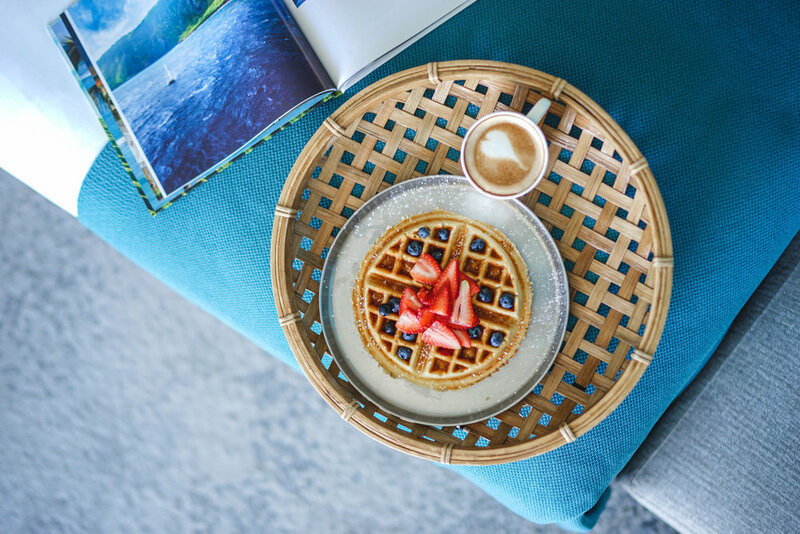 Hawaiian Aroma brings a sophisticated balance of European flair, Hawaiian hospitality, attention to detail, and passionate Baristas with the desire to simply wow every guest. Enjoy breakfast in Waikiki with us, you won't be disappointed. Our 28,000 square feet roasting and distribution facility in Kapolei was selected by Royal Cup/Dinemore to become the Hawaii licensee for the Royal Cup network. In addition to the premium Hawaiian coffee quality, we take pride in being Hawaii’s eco-friendly coffee company, demonstrated through our photovoltaic-paneled, 17,000 square ft. facility and our fleet of hybrid-powered company vehicles to name a few.